June 2018 Women’s Protest Working Group march in Kampala, Uganda. Photo by Katumba Badru, used with permission. 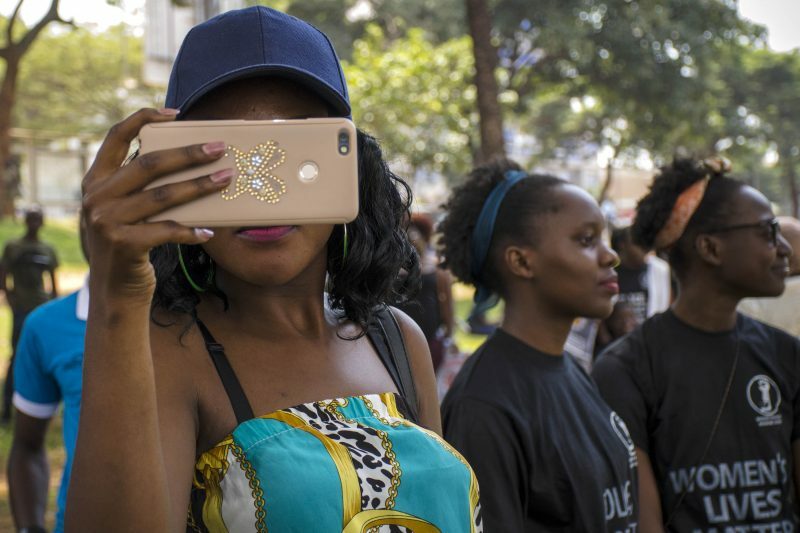 On July 1, Uganda implemented a new daily tax on the use of social media and messaging platforms, on the grounds that — in the words of President Museveni — social media is a “luxury good”. This tax will unquestionably widen the digital divide for all Ugandans of lesser means. But the results may be worst for women, who already face high barriers in accessing and using the internet. According to a scorecard by the World Wide Web Foundation, in Uganda, the cost of 1GB data comprises 22% of the average monthly income. Countries that have expensive internet such as Uganda and Mozambique have the lowest numbers of women online. Regionally, only one in nine women in Africa has access to the internet. Only about 37 percent of women surveyed in ten selected cities in the world, including Kampala, were found to be using the internet compared to 59 percent men. 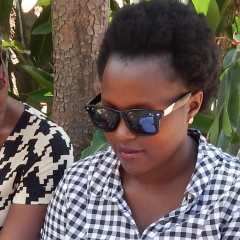 Research conducted by the Women of Uganda Network and the Web Foundation indicates that as a result of feminised poverty, many Ugandan women who are dependent on subsistence agriculture cannot afford to buy a smartphone or data bundles. Those who can afford mobile devices and services often face barriers of language and low literacy. Culture and society play a role in the digital gender gap too. In Ugandan society, there are entrenched norms of negative thinking towards women’s participation and engagement in public spaces. This extends to spaces like cafes and telecentres, where internet access is often available. Patterns of gender inequality, as reflected in political participation and representation in decision-making structures, along with disparities in economic opportunities, access to education (and thus literacy), and division of labour within the economy all contribute to the digital gender gap. Yet still, some Ugandan women have come online. The digital revolution gave Ugandan women a voice online to politically engage, speak truth to power, dismantle the patriarchy, seek counsel from their friends, access information, connect with clients, market their products, start charities, form psychosocial support groups, coordinate savings groups, organize neighborhood supervision for kids when they are away, and so much more. President Museveni is missing something when he says that social media is for gossip. And even if it was, communication is a basic human need. The tax also ignores a critical lack of digital literacy, particularly among poor Ugandans. When I interviewed women living in Bwaise, a slum in Kampala, I learned that for them, WhatsApp and Facebook are the internet. These are the only platforms they know how to use. So with the new tax, they will be cut off altogether. Museveni says that social media is a luxury good and that people have a choice to use it or not. Listening to him say these things really hurts. This is 2018. While the rest of the world moves towards artificial intelligence, innovation around the internet of things and free internet access in public places, Uganda is marching in the opposite direction. If only the members of parliament, the president’s many advisers and the Ministry of ICT would stop for just a moment to listen to the outcry of the Ugandan people — which has been loud and clear since the tax came into effect on July 1 — they would repeal the tax.